Photo measuring a bit less than 5.25 x 3.5 inches. No information. Undated and unidentified. As summer winds down, here is a group of people that seems to be winding down from a happy summer day. Nine women, a man and a boy. As always, it’s fun to speculate who they might be and what they might be to each other. I love all of the different hair styles. I agree, the variety is fun. 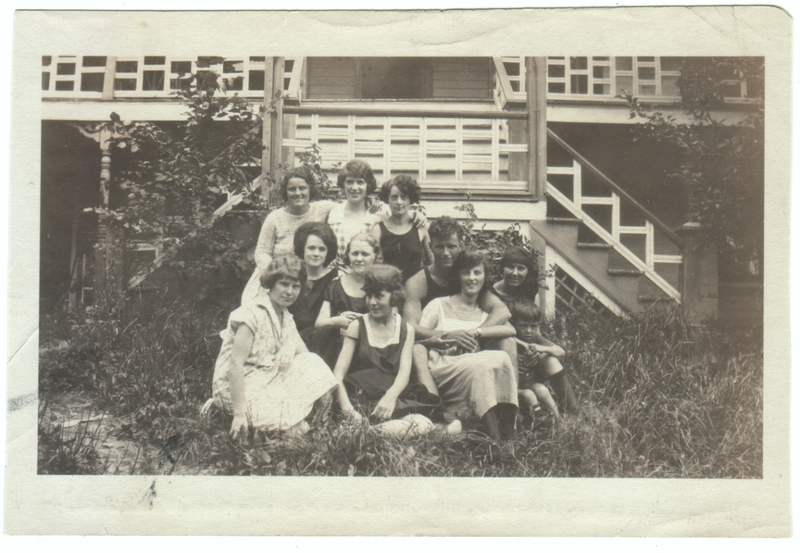 In fact, the woman in the middle row on the far left looks like she has a hairstyle from the 1960s. This photo seems really familiar… not that I’ve seen it, but that I’ve actually *been* there before. Weird….